Folding those tiny little baby clothes…all I can do is squeal on the inside with joy. Ever since I was little I wanted to be a mommy. So the fact that I am now an aunt and get to hold a little baby for the next two weeks makes me beyond happy. Seeing my brother, his wife and their new little girl makes me think though. I can not wait to have that situation be my life. Of course, that would require a few steps to get to that process first…so I can’t help but wonder what my future holds…and when will I get to experience something so wonderful such as creating a family of my own. I truly think motherhood is one of the most rewarding experiences a woman can ever have. Helping to bring a new life into the world and raise them to do great things. It all sounds like hard work…but completely worth it in the end. 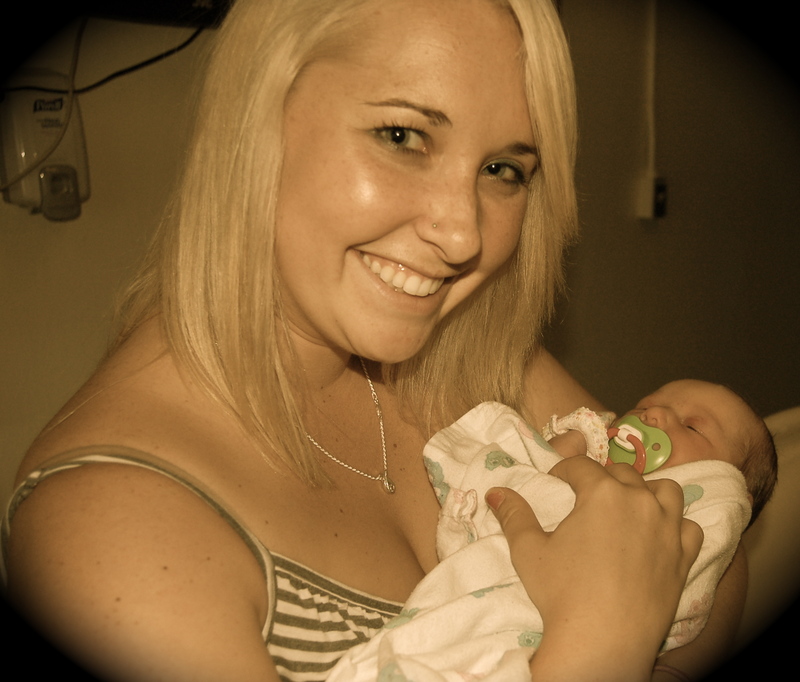 One day I will be in my sister-in-law’s shoes, holding a new-born baby and calling her my own. However, until that day, I will live vicariously through my brother and sister-in-law….and enjoy every day of the next two weeks holding and loving my little niece. Please excuse the sappy attitude of this thought today, but being the big sister and seeing my little brother and his wife have their first child…I can’t help but be a bit emotional. She is so beautiful, so innocent, and has her whole life ahead of her to grown and become a toddler, teenager and adult. I truly can’t wait to see what the future has in store for her one day. and I for one cannot wait til you have a baby and so pray I can be there too! 🙂 Love you! I feel less psychotic knowing others feel the same way. I’ve always wanted to be a mom and I can’t wait for that day. But I know I need to focus on school and a job first because I refused to bring my children up in the world that I was. I never want to struggle and I want my kids to never have to worry about what utilities will be shut off. It will happen one day but I’m not ready for it yet.